In a hurry? Need only a few Decalss? Download our art for this Decals and print it yourself. 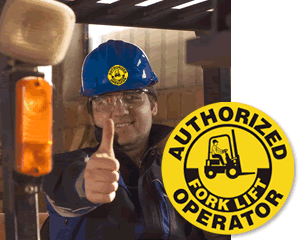 Also a visual way to see who is permitted to be driving a forklift.